Pictured (Left): Greg Sizemore (CURT Exec. VP), Chris Fought (CURT Co-Chairman Safety Committee), John Manta (BMWC VP Marketing & Sales) and Pete Dumont (CURT President). The Construction Users Roundtable (CURT) presented BMWC with the Construction Industry Safety Excellence (CISE) Award at the Awards of Excellence Celebration. This is an annual award given to those who promote construction site safety. The CISE program encourages the improvement of safety and acknowledges safety leaders in all aspects of the construction industry. 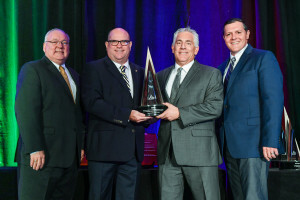 BMWC was recognized with the most prestigious award in the Heavy Construction category. This category is companies with craft hours between 500,000 and 3,000,000. 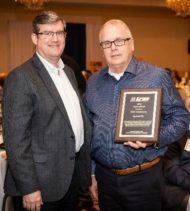 As a company that values safety, BMWC appreciates being recognized by CURT with such a prestigious award. For more information, visit www.CURT.org.